Diocesan Vocation Directors face many challenges in nurturing vocations to the priesthood today. Quite apart from the demands on their time, the vocations landscape has changed. The growth in secularisation along with the portrayal of negative coverage in the media all contribute to a shortage in candidates coming forward to discern a vocation. God still calls people and it remains the role of the Vocation Director to help those being called to quieten the noise in life, so that they may hear the whisper of God. The National Vocations Office is bringing a team of priests who have enjoyed considerable success in North America to deliver a formation course for vocation directors. This is an exciting development as it is the first time that this course is being delivered outside of the US. The course will commence at 6pm on Sunday 24 th June and finish with lunch on Thursday 28 th June. and take encouragement and motivation for new strategies for helping men to discern God’s call. journey with those who are seeking to discern. The course will be run in the Knock House Hotel, a newly refurbished 3 Star 68 bedroomed Hotel which is adjacent to the International Marian Shrine, in the tranquil Village of Knock, Co Mayo. 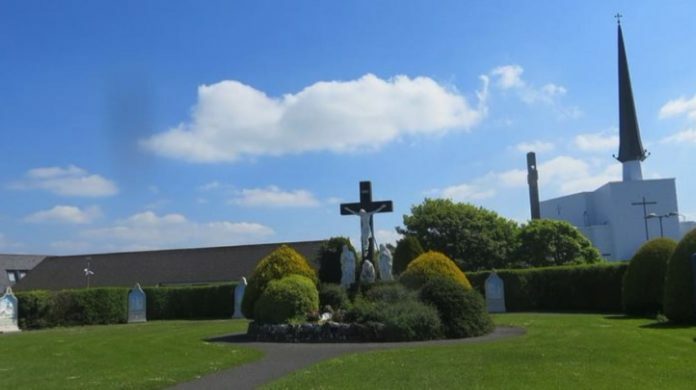 The location provides a perfect combination of comfortable and professional environment for the course workshops, networking and relaxing, along with access to the beautiful chapels and prayer spaces of the Knock Shrine for our daily Eucharist and prayer spaces. Bishops’ Conference in July 2017.